Our story starts in 1954 when Phil Irving set up in business in the picturesque town of Kirkby Lonsdale, nestled when the three counties of Yorkshire, Lancashire and Cumbria now meet. In these early days, Phil's work was primarily focused around cutting timber for local tradesmen and supplying firewood to the community from a small shed in the town. In the 1960's Phil moved into a small building near our present site at Hutton Roof where he invested £10 (a reasonable amount in those days!) into a small wooden rack bench, powered by a TVO Fordson tractor. This enabled him to considerably scale-up his operations and start employing staff. In the following decade the business moved again into what is our present site today. During the 1970's, a staple product was cutting hardwood into chocks for the coal industry. This regular work was a platform for Phil and son Peter to invest and expand and one benefit from the spread Dutch Elm disease in the 1970’s was that more timber became available and we started cutting it into pallet block, bearers and boards. 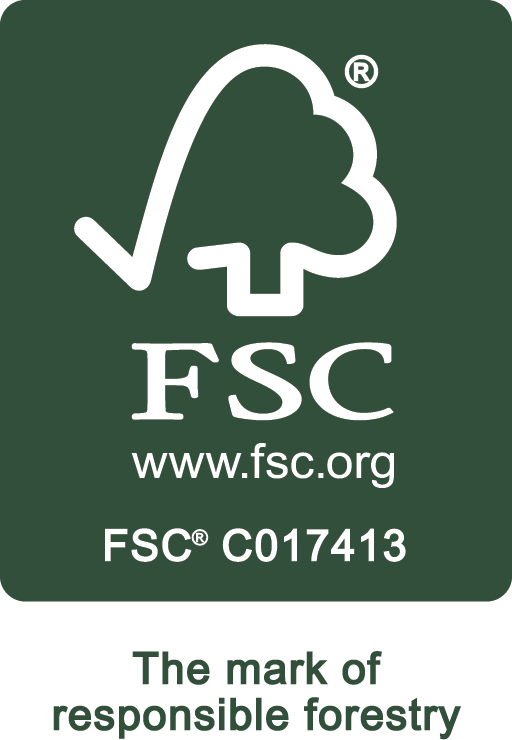 After the disease subsided, investment was made in a twin-band pallet line (in addition to our existing band mill) that allowed us to begin cutting softwood to replace the Elm for our customers. 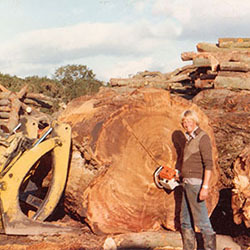 The early 1990’s saw the purchase of a hardwood sawmill in the Forest of Dean enabling us to continue supplying both timbers. 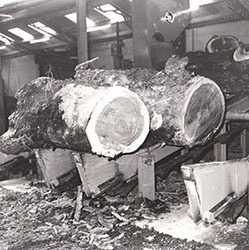 Eventually we ceased cutting hardwood and installed a quad AKE saw line for softwood production in 1999 at the Hutton Roof sawmill. P Irving and Sons is presently run by Peter Irving along with his sons Max and Guy, the third generation of Irvings to work in the business. Watching over them all is Carol Butterfield, who has been serving the company for over 25 years. 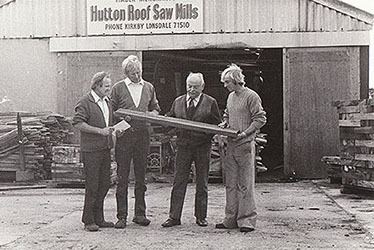 The site of the Hutton Roof sawmill and yard now covers approx 5 acres and provides employments for 30 full time staff. The most recent investment has been the introduction of an advanced biomass production facility providing dried wood chip for the energy market.